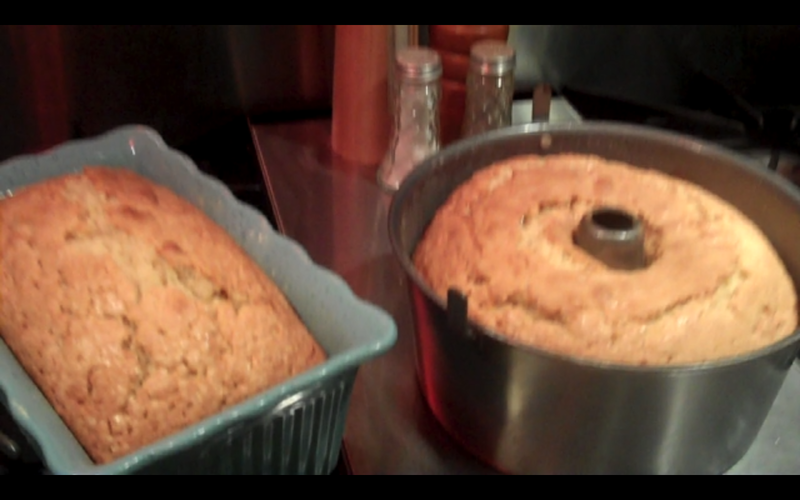 EVERYONE has a Family Pound Cake recipe, and some are safely guarded and touted as “the best”. This is mine… a recipe I once said could make me rich if I owned a restaurant. You’ve said that too, right? This cake does have a special ingredient… heavy whipping cream. When I think of this Poundcake, I think of holidays. Holidays are the one time where everyone splurges a bit on food and this one does just that. It’s a great gift as well, make it in smaller loaf pans and give them out at the office… you might just get a raise! 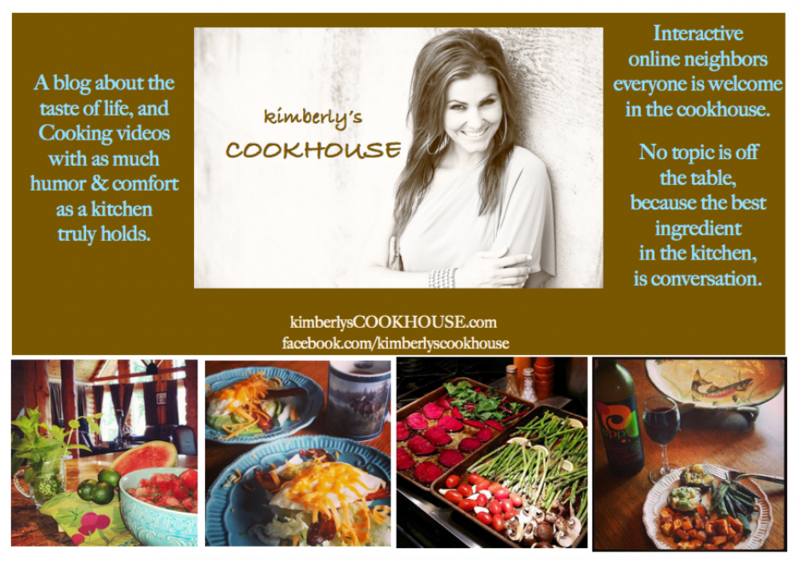 I can here the question now, “Kimberly, you talk about eating well… ” Listen a Dessert and the Holidays are for celebrating, but there are a few things I keep in mind. I try and buy Naturally white flour not the “bleached”. I buy a less processed sugar not as “bleached” The eggs are free range from my sisters back yard (most all the time) so i know theirs no steroids or antibiotics that we don’t need. I use real butter… NO the FAT…. Well, the way i see it anything REAL is better than it’s “processed clone”. Vanilla is the MOST expensive part here, it’s tempting to buy the imitation but don’t. Here’s a helpful hint: Look for REAL Vanilla in places like Big Lots, Amazing Savings, TJ Maxx, etc… you can usually find a deal. I usually stock up when I see it like that. Have you ever had a recipe you kept secret… what… why? Enjoy one of our families most loved cakes. It’s at least 4 Generations going… but I’m still hanging on to my all time favorite, My Great Grandmother’s Tea Cakes- THAT will be my Million dollar pay day, Haahaaa. 1 hour and 20 mins. Let set and partly cool before cutting or pulling out of pan. 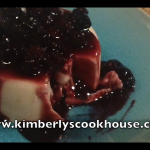 *This is also great with fresh cut strawberries and MORE whipping cream on top! Cheri… I KNOW. Growing up my dad was self employed and had to be in the hospital for almost a month. They put a lean on our house and when he paid it off… He had 5 kids, No house and 300 dollars. I TRULY know and I say THANK YOU to God everyday for what he gives me, knowing it can be gone at anytime. Hang in there… God IS Good. aww sorry thats what I like about you KK you can relate to so many of us God Bless. I have the very same recipe. It has so much good crust on the outside and is so moist on the inside. It’s the only pound cake I ever make. Kimberly, Which cake turned out the best? The one in the loaf pan in the gas oven or the one in the cake pan in the electric oven? I have an electric oven and a cake pan similiar to the one used in the video. I can’t wait to try this receipe! Sounds fantastic! Thanks for sharing! If you have an electric oven you can put a 1/4 cup stainless measuring cup on the bottom rack while cooking the pound cake and it will be extra moist. I make a killer lemon and regular pound cake with icing and when we go to family functions they fight over the left overs if there is any left. EXCELLENT Idea!!!! that is GOLD! Thanks for sharing Kimberly! Yummy! KIMBERLY, MY FRIEND MAKES A POUND CAKE CALLED ELVIS PRESLEY’S FAVORITE POUNDCAKE EPICURIOUS IT IS SO GOOD BUT THE RECIPE CALLS FOR SIFTING THE FLOUR LIKE 3 TIMES. 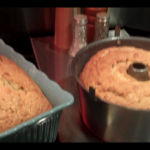 I ENJOYED WATCHING YOU PREPARE THIS ONE I WILL TRY IT FOR SURE TO BE CONTINUED WARM POUND CAKE AND HOT CUP OF JOE IS THE BEST THANKS, ROSEANNE CHESNEE,S.C. BTW… I TOTALLY had a mind eclipse. a pound of butter is NOT 2 sticks. Oops. I love everything you do–but a small correction. 2 sticks of butter is not 1 pound–it is 1 cup as stated in the written ingredients. I’ve been thinking about switching to a gas cook top, but keep my electric oven. If you had only one oven which would you rather have, gas or electric?